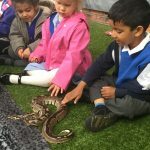 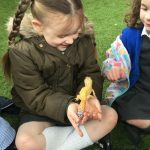 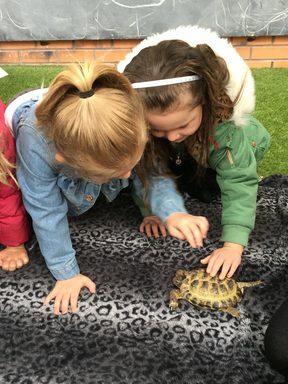 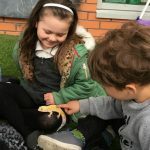 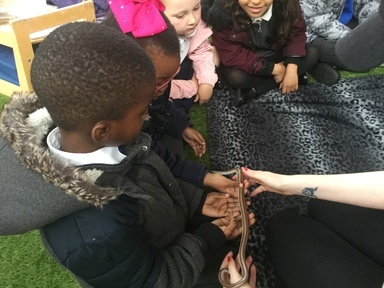 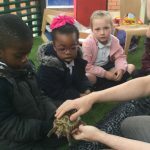 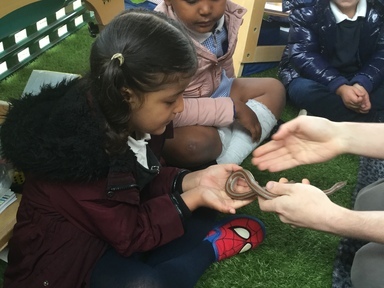 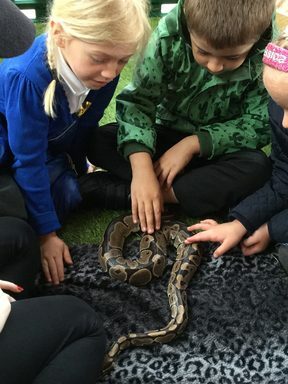 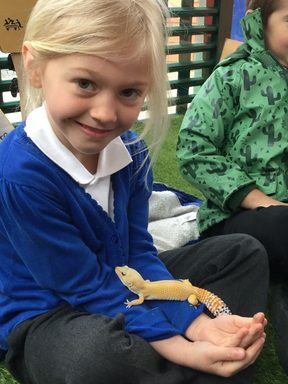 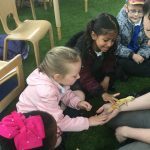 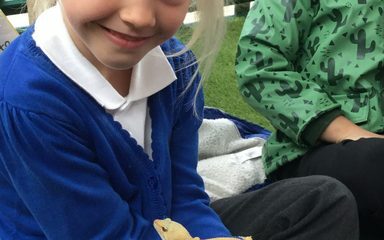 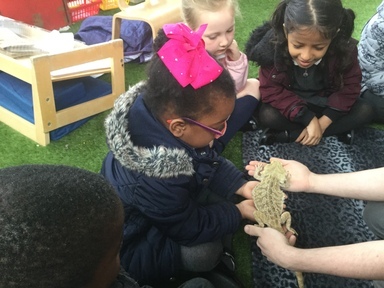 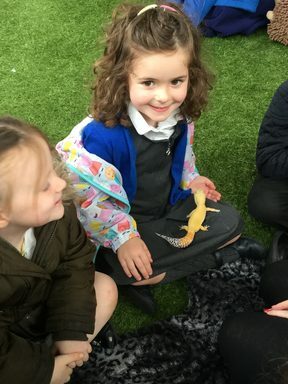 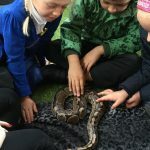 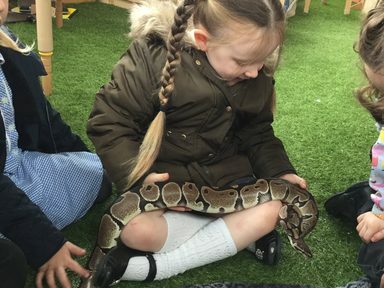 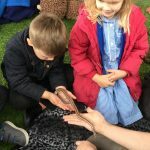 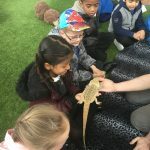 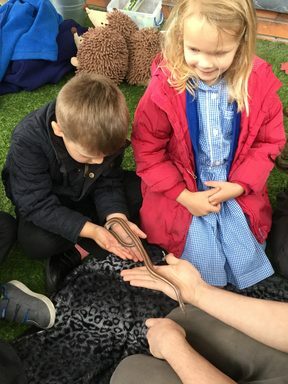 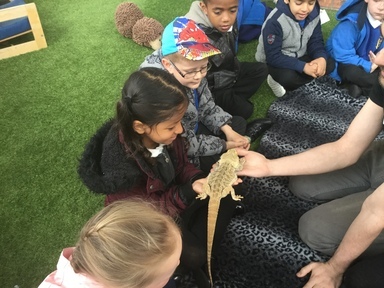 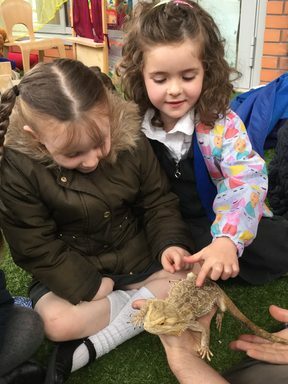 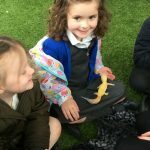 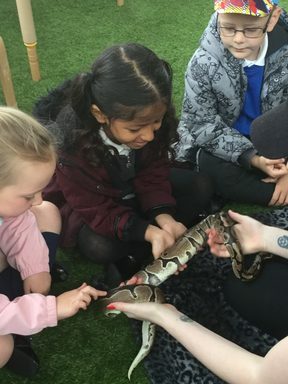 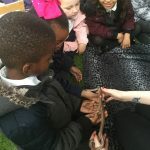 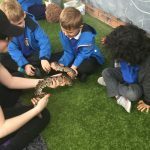 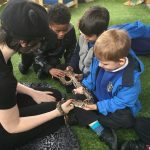 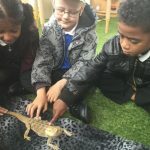 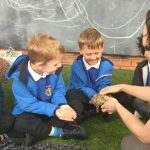 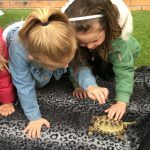 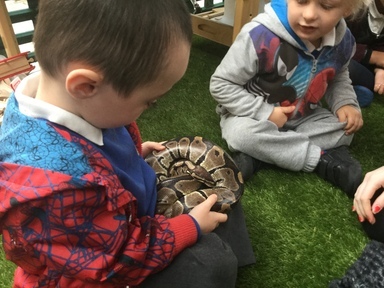 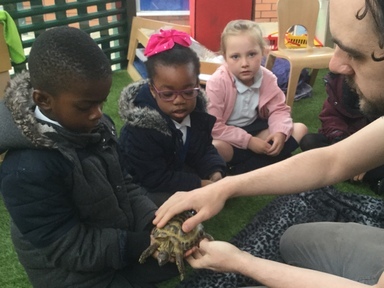 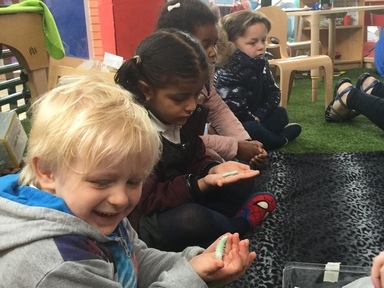 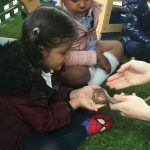 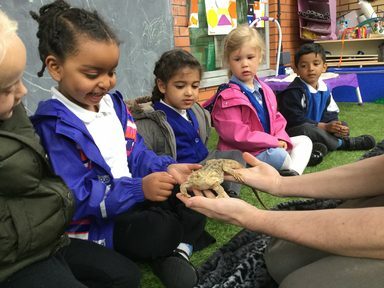 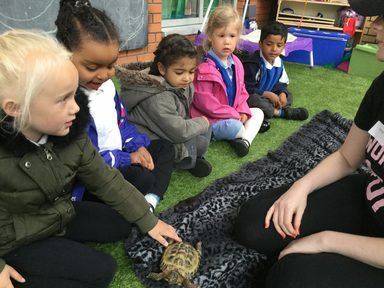 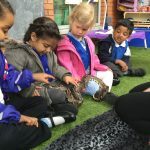 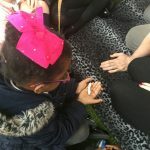 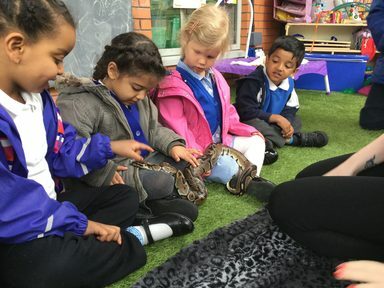 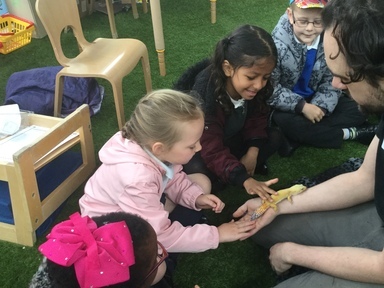 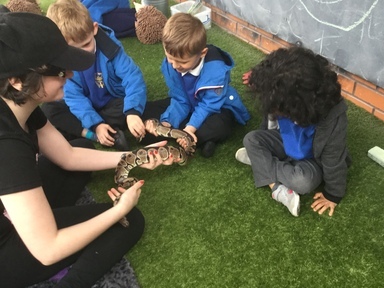 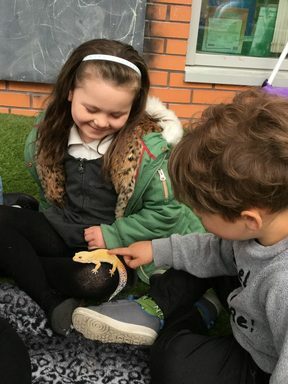 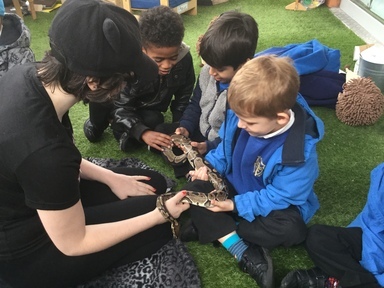 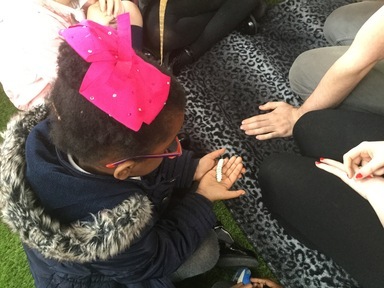 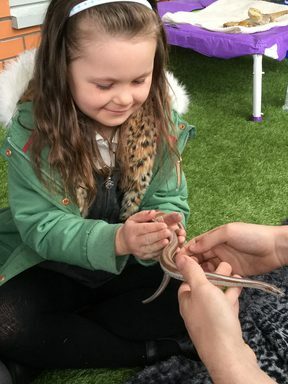 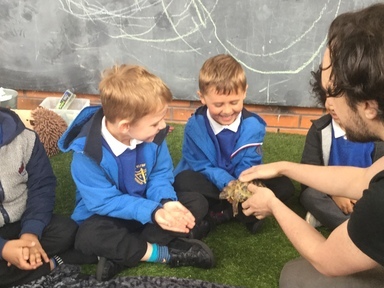 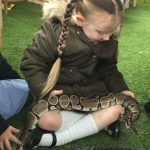 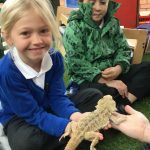 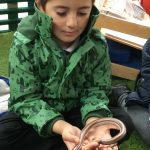 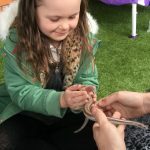 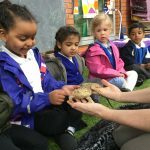 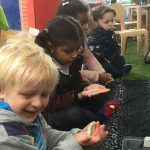 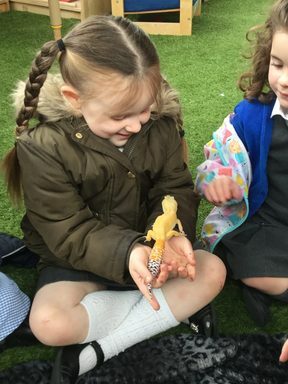 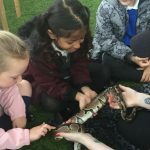 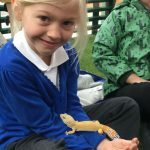 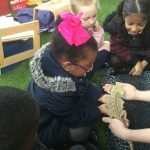 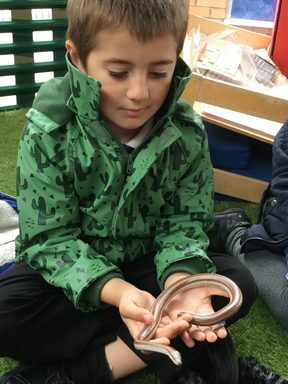 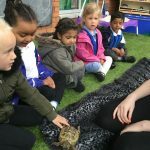 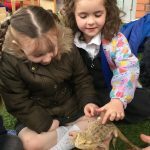 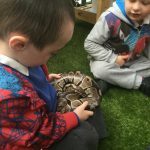 The children in Nursery and Reception had a wonderful morning touching and handling the animals from Creatures up Close. 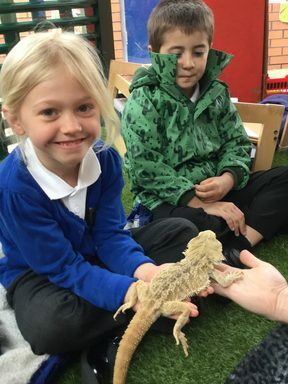 The staff brought along lots of different animals for the children to hold and explore. 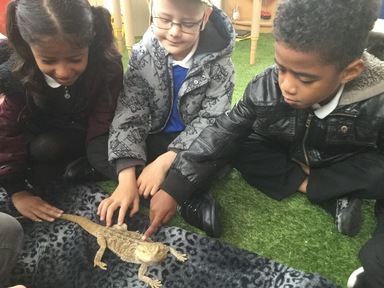 They talked about how to handle the creatures, what they eat and drink, how they grow and their habitats. 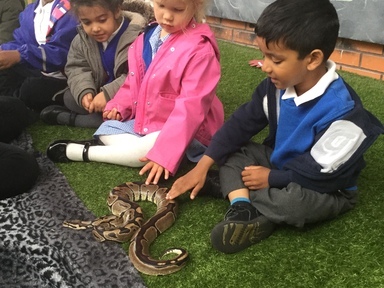 We were very proud of how well-behaved the children were and how brave they were too!